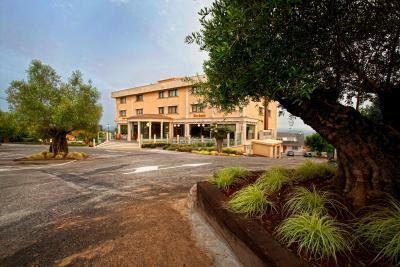 Lock in a great price for Hotel Os Olivos – rated 9 by recent guests! Although it was already dark when I arrived I was surprised by the nice atmosphere that the entrance hall gives this place. 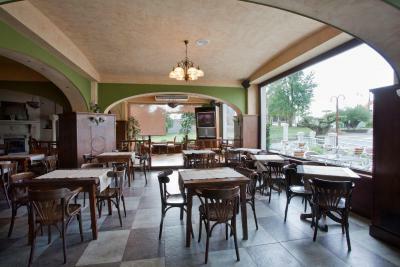 The People are friendly, there is a bar and you have a quite nice view from the breakfast room. The Rooms feel a lot more luxurious than the Price Level might suggest. Good experience! 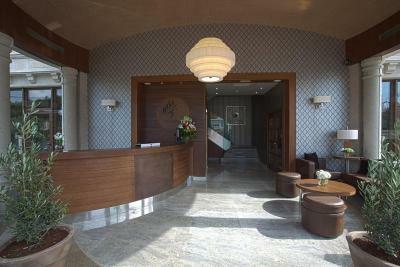 Excellent service and luxury feeling inside the hotel. Very good beds and shower! The hotel shows photos of superior room, at the hotel they stated they have two types of superior room, we chose to stay at this hotel in a superior room , based on the photo, we where given a smaller room, they also called a superior room, as we had driven a long way we did not complain till the morning, we where then transferred to the superior room based on our booking and hotel photo. We arrived into A Corūna after a very late flight from London. 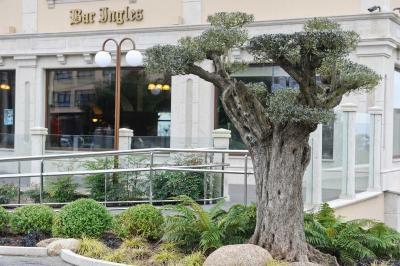 We had a short drive , checked in and then went down for a glass of wine/beer on the terrace. The man gave us tapas and was really friendly. We slept well in a comfortable room and in the morning,before checking out, we had a very nice breakfast in the dining room which has a huge panoramic window and view. Great place for couple of days exploring the surroundings around A Coruna, which is what we did (not ideal if looking for a city trip or travelling without a car). 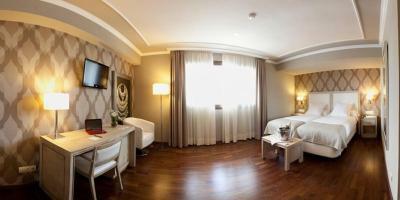 Really nice room with everything that you would need during your stay. Value for money on our dates was great as well. We took continental breakfast for a fair price: 3,70€/each; with toast, oil and tomato. The hotel is incredibly good for the price. 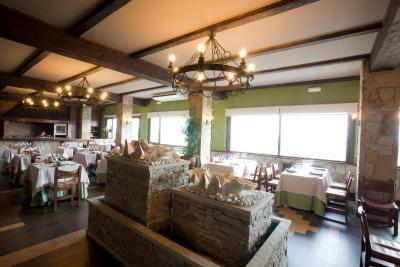 The surroundings are not beautiful but the location close to Betanzos and even Coruña, for this price, is very good. Also there is a good churrasquería at 7 min walking distance, good quality meat and very good prices. La habitacion en general esta genial, muy comoda y limpia. El personal muy agradable. 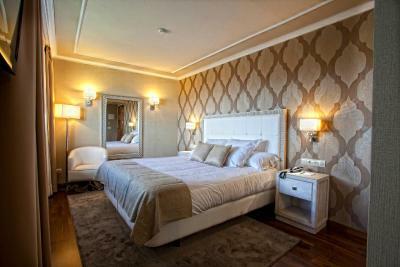 Hotel Os Olivos This rating is a reflection of how the property compares to the industry standard when it comes to price, facilities and services available. It's based on a self-evaluation by the property. Use this rating to help choose your stay! 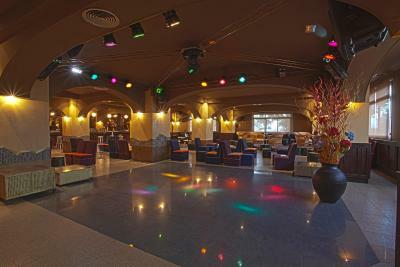 With easy access to the AP9 Motorway, this design hotel is less than 15 minutes’ drive from La Coruña and only 3.7 mi from Sada and Miño beaches. 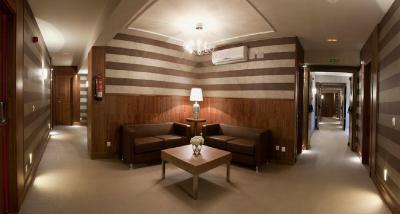 It offers elegant, air-conditioned rooms with an LED TV and soundproofing. 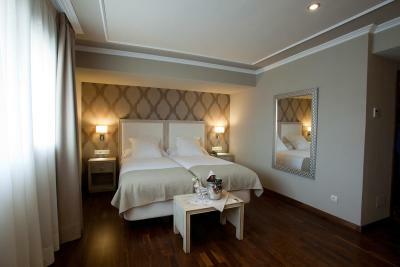 The rooms at Os Olivos feature parquet floors and smart décor. 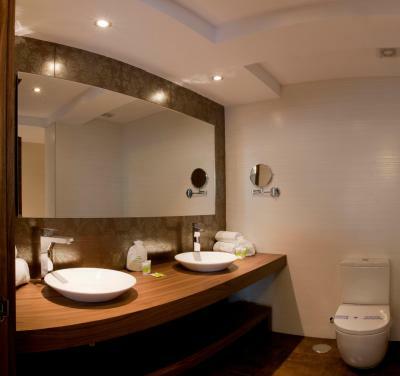 Each one has a private bathroom with a hairdryer and either a hydromassage shower or bath. 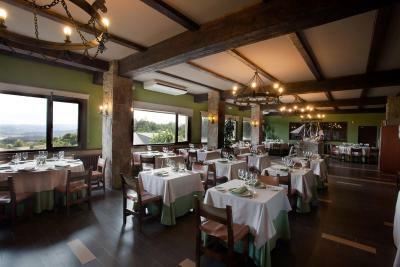 The Os Olivos’ restaurant serves traditional Galician food, using fresh, seasonal products. 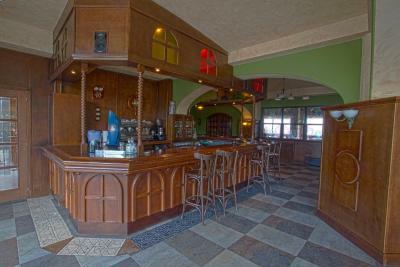 There is also a pub with a terrace, as well as a lobby bar. La Coruña Airport is 15 minutes’ drive from Os Olivos. You can drive to Santiago de Compostela in around 40 minutes. 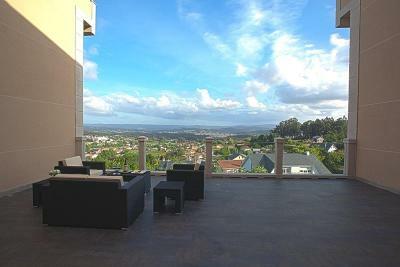 This property is also rated for the best value in Guísamo! Guests are getting more for their money when compared to other properties in this city. 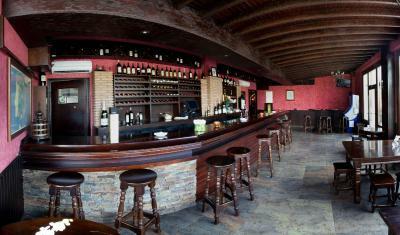 When would you like to stay at Hotel Os Olivos? 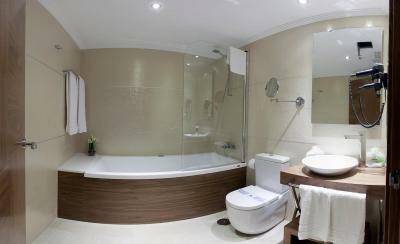 This air-conditioned room has stylish décor and a private bathroom. The Superior Room may be more spacious or may offer panoramic views of the Cecebre Reservoir. 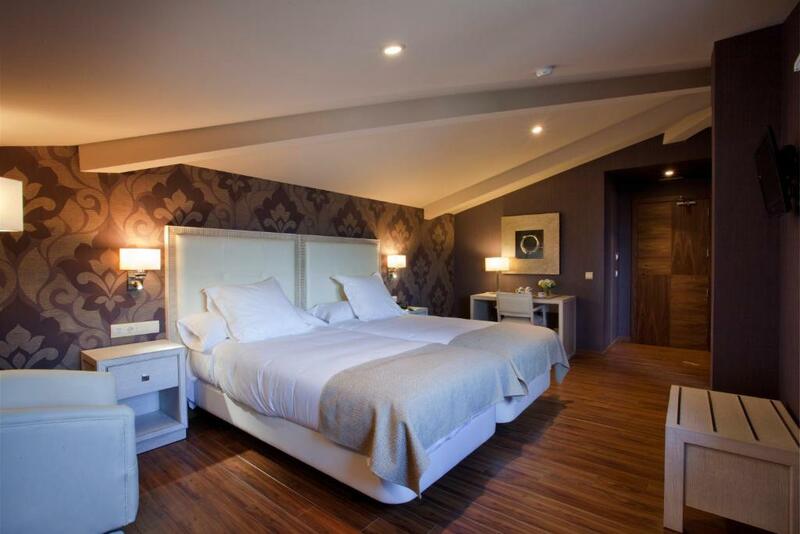 The spacious Junior Suite comes with a separate seating area, a hydromassage bath and panoramic views of the Cecebre Reservoir. 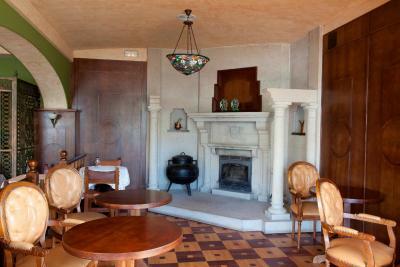 This spacious suite has a large private terrace with wonderful views of the Cecebre Reservoir. It includes a bedroom, a separate lounge-dining room and 2 plasma TVs. 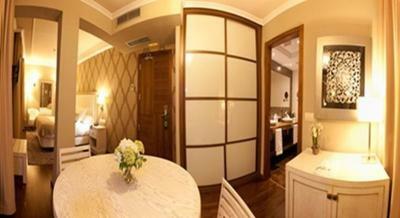 This spacious, air-conditioned room features a flat-screen TV, a mini-bar and a private bathroom with a hairdryer. 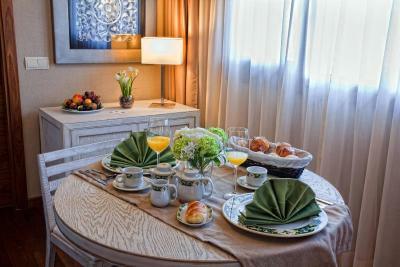 House Rules Hotel Os Olivos takes special requests – add in the next step! 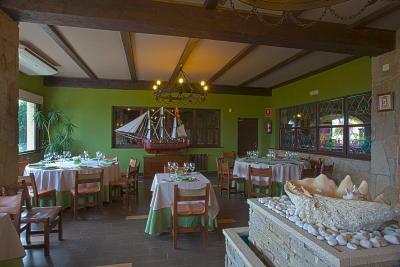 Hotel Os Olivos accepts these cards and reserves the right to temporarily hold an amount prior to arrival. 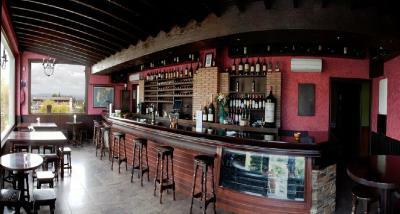 Good panorama and personal ! Small room, no A/C (we could not open the skylight windows due to rain over night); breakfast is overpriced. View on the front could be better, while there are no facilities on the backside (where the view is nice). It is a perfect stop over hotel. The location appears to be on an industrial estate but you aren’t aware of that on arrival. We parked by an Olive tree and it was nice, quiet and welcoming. The reception stuff. The bed was double instead of a large one, like it says on booking description. A large one was available at additional cost. Quiet out of the way location. Sloping room in top floor bedrooms - a little odd!